A spoof holiday scene! 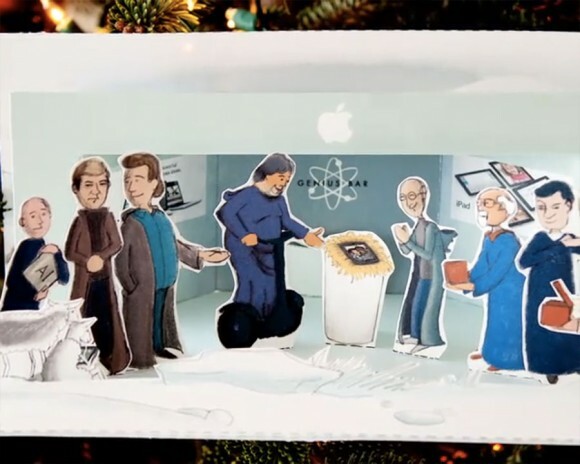 Featuring Apple Store, Genius Bar, Steve Jobs, and the rest of the Apple wise guys. Video + download this DIY papercraft project. Apple wise guys at the Genius Bar. Do you recognize them all? There’s Steve Jobs, Steve Wozniak, Walt Mossberg of Wall Street Journal, David Pogue of New York Times, and John Gruber of Daring Fireball. Plus Jonathan Ive, Tim Cook, Phil Schiller, and the magical iPad. The Apple Store holiday papercraft, “Christmas Creche,” is created by onemorething.nl, who wishes you a “fruitful” 2011, and suggest making a donation to seriousrequest on Dutch site 3FM (this dedicated to AIDS orphans). To build your own genius bar with Apple wise guys, the papercraft creator suggests printing in color on thick A3 Paper (297 × 420 mm, 11.7 x 16.5 inch) or larger. On word on if they are adding Ninja Steve to the holiday papercraft. 8.8MB download on onemorething.nl site (English translation). Direct download link. 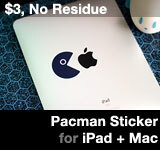 This entry was posted on Wednesday, December 22nd, 2010 at 3:12 pm	and is filed under Apple Art. You can follow any responses to this entry through the RSS 2.0 feed.